“Every sound she draws is superb,” The Strad magazine has praised. Violinist Bella Hristova will bring her passionate playing to the Kauffman Center for a special Discovery Concert that combines the young violinist’s mastery with the Symphony Orchestra of the Youth Symphony of Kansas City, celebrating its 60th anniversary. Hristova will play a collection of solo works and then will join Conductor Steven D. Davis and the Symphony Orchestra as soloist for Kreisler's serene Liebesleid and Sarasate's dazzling Zigeunerweisen. The Orchestra will also delight the audience with Tchaikovsky’s lush Romeo and Juliet Fantasy Overture. Conductor Steven D. Davis is now in his ninth season as the conductor of the Youth Symphony of Kansas City’s Symphony Orchestra. 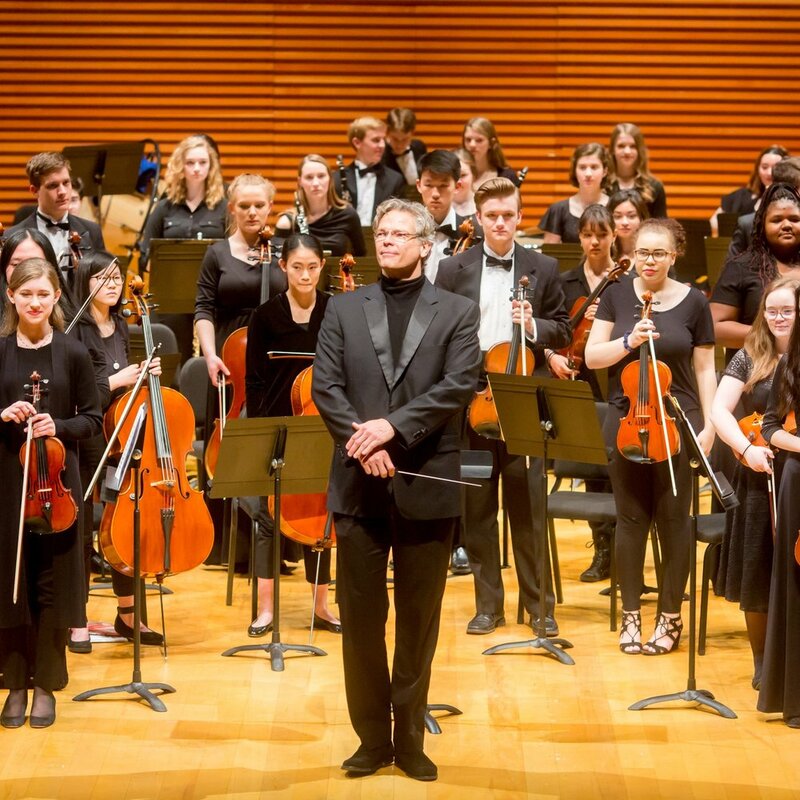 Under his direction, the Symphony Orchestra has performed at the Kansas and Missouri Music Educators Conferences, the Midwest Clinic and on its 2016 Ireland tour. Davis is also the resident conductor of newEar, Kansas City’s premier new music ensemble. Youth Symphony of Kansas City, celebrating its 60th Anniversary Season, affords its young musicians unique opportunities to engage with professional musicians and educators from arts organizations and educational institutions through out Kansas City. Students from more than 50 cities within Missouri and Kansas come together weekly to participate in four full orchestras and young string programs of the Youth Symphony of Kansas City. ALL TICKETS AND VOUCHERS HAVE BEEN DISTRIBUTED FOR THIS CONCERT. IF YOU HAVE ANY AMOUNT OF TICKETS THAT YOU CAN’T USE FOR THIS PERFORMANCE, PLEASE EMAIL US. REMINDER: A voucher will not guarantee you a seat, but tickets to free concerts often go unused and chances are good that you will be seated. The Kauffman Center Box Office opens at 5 p.m. for this 7 p.m. concert. Those holding vouchers may be seated after 6 p.m. when tickets are returned or after 6:45 p.m. if seats remain in the performance hall.